non-traditional sense of the ordinary headphone headset. The traditional ordinary headphones into the phone, the metal wire is introduced directly into their phones brain wave radiation , combined with high magnetic internal ear speaker load current amplification. So the damage from mobile devices radiation is an invisible and cumulative process. Electromagnetic wave absorbed in body is difficult to be released, which is harmful to our brain, it is unhealthy. But this Air Tube Acoustic, it uses the principle of acoustic air- conduction sound tube , so that the radiation away from the vulnerable brain. Built-in MIC noise canceling headphones, provide you clear sound and wonderful music experience. Multifunctional button: Answer/ Hang up phone. Pause/ Play music. Switch song. All operation just in one finger. Free you hand. 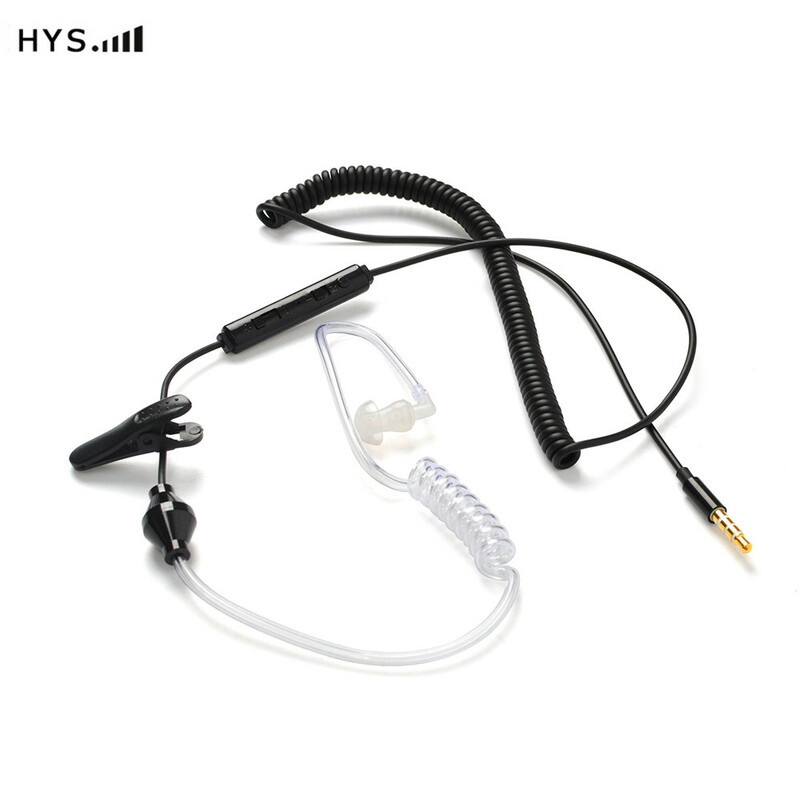 Has a collar clip, convenient to fix headphone and microphone, ensure the quality of answering the call.